Another beautiful straight AND a Martin J. Rubin 4601 New York Strop! They are very hard to come by, half your luck (and somewhat envious). 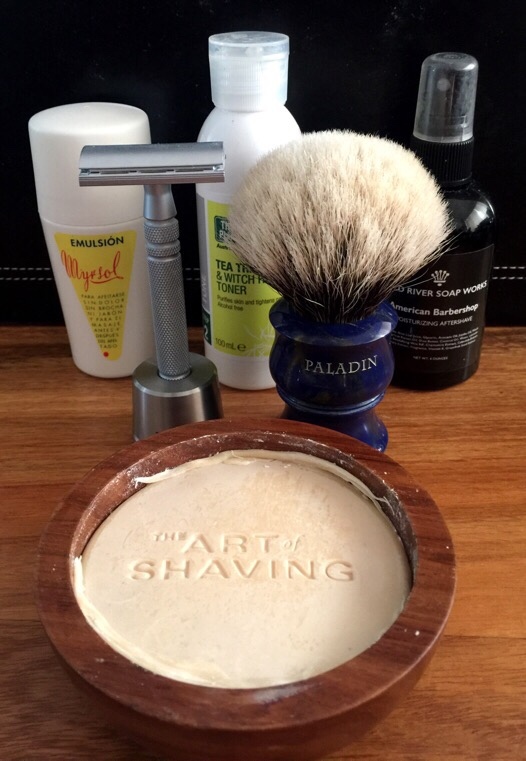 First use of the AOS soap. The performance was very good, and its characteristics seem to confirm that this soap was indeed made for AOS by Valobra (as are the Czech and Speake soaps). The scent was a gentle natural sandalwood; perhaps it has faded a little over time. 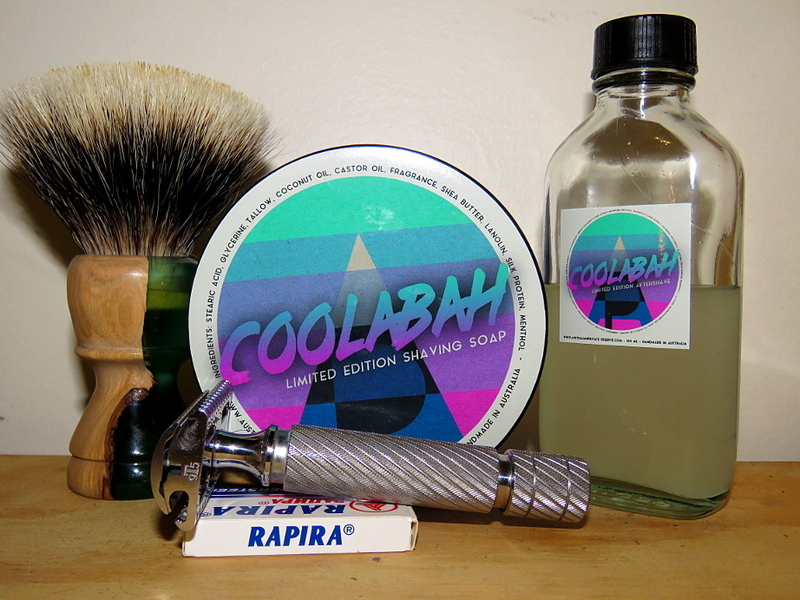 Very thirsty, and intensely thick lubricious lather with excellent persistence. Three very comfortable passes for a DFS+; the Leviathan's sandalwood notes providing a nice match for the soap scent. Moved on to Saigon. Kathmandu collapsible silicone container works well as a travel bowl. John Varvatos Artisan Pure EDT. Added extra water to produce creamy lather - sorry no pics Have a great New Years eve! 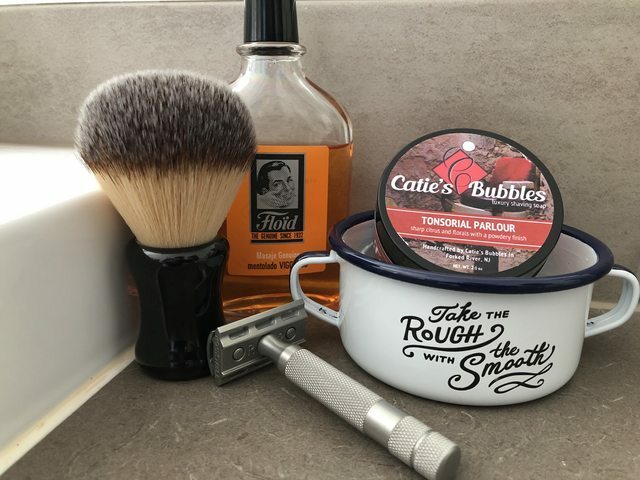 Awesome shave this morning. Staying at Lakes Entrance in VIC. Hired a boat this morning and putted around the inlets today. Was great. Even seen some dolphins! 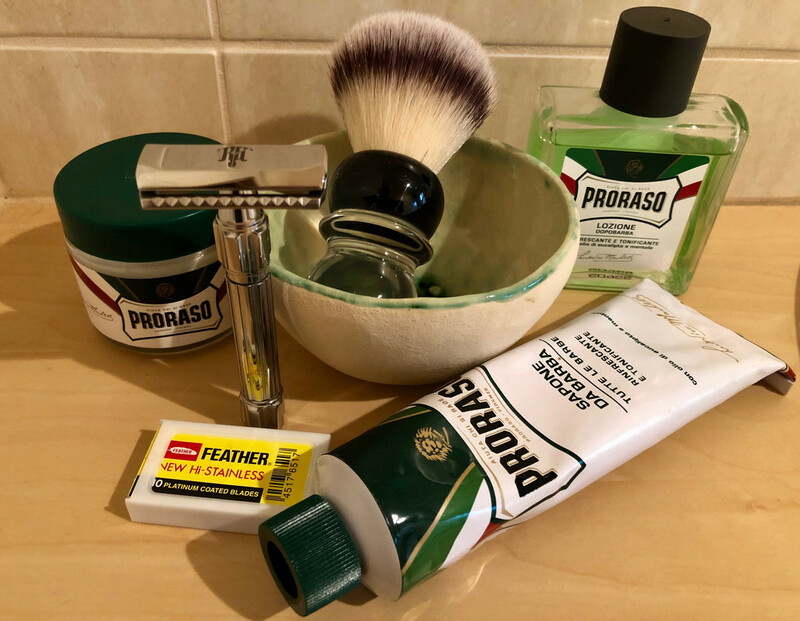 First use of the Tonsorial Parlour soap which has been put into the mug for the duration. Performed admirably but the Gillette Black blade is a fast way towards weeperville! Hope everyone has a great New Years and stays safe! 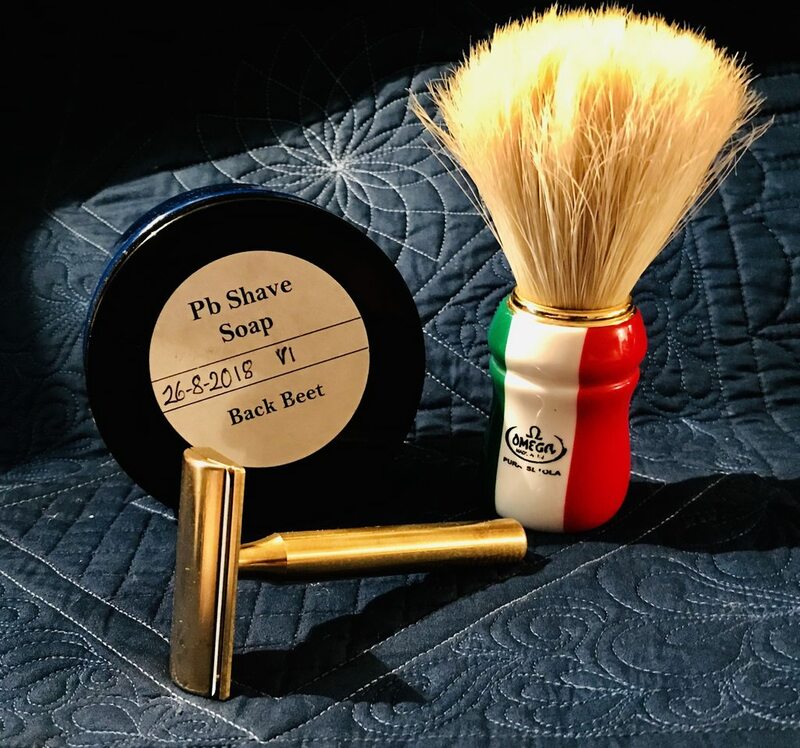 What a combo to finish the shaving year! Not feeling 100% today and there's something therapeutic about Back Beet for me. 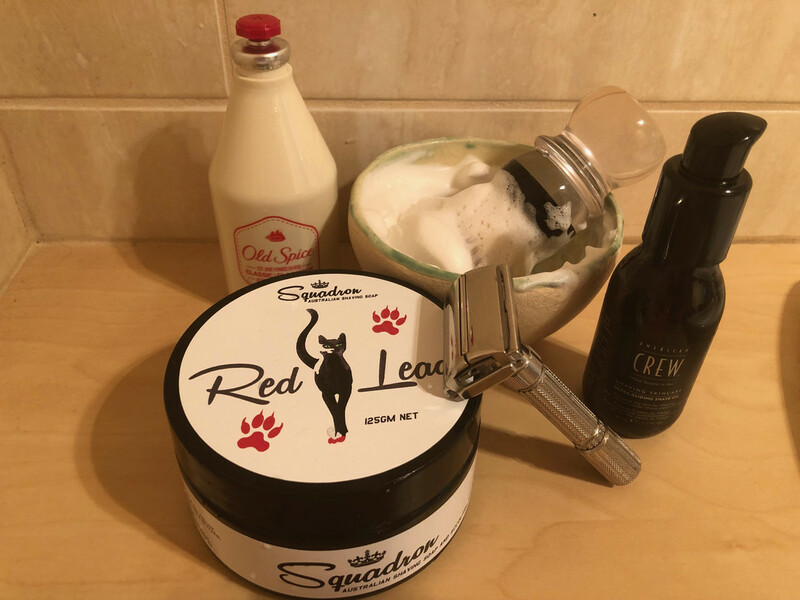 Luxurious creamy lather applied with the big boar and the smooth cut of the Pro Super in the General left me feeling somewhat refreshed. Happy New Year guys! Looking forward to sharing more shaves and talking all things shaving with you next year. 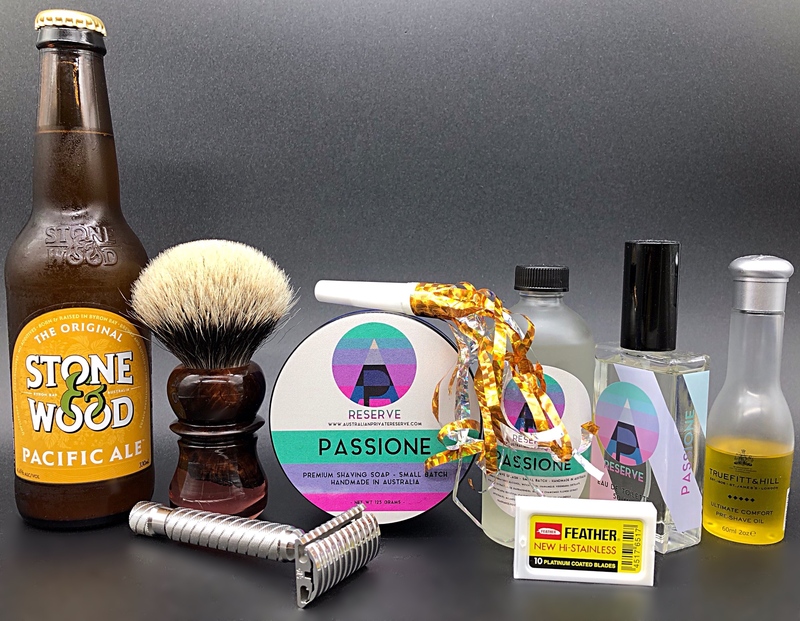 Wishing you all a safe, prosperous and peaceful New Year and look forward to sharing many happy shaves with you all in 2019!!! With good reason Ruds rates it! 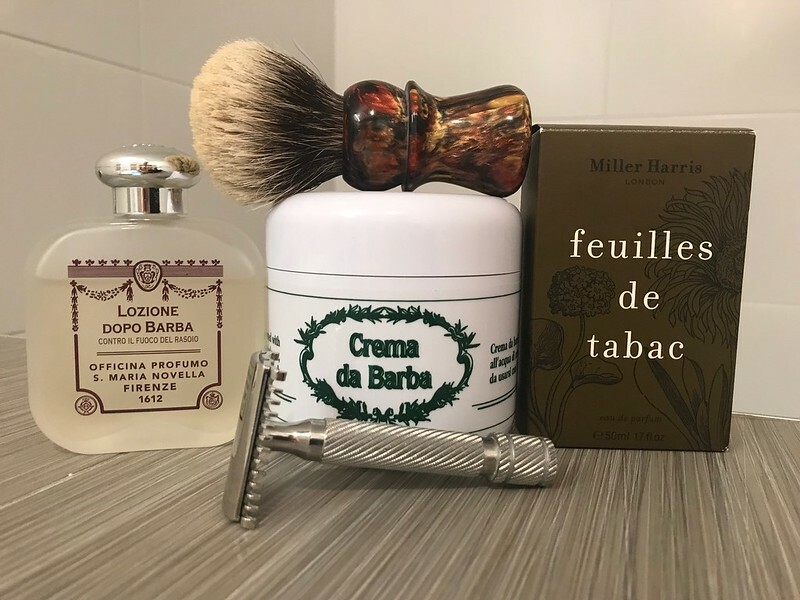 After many years out in the shaving wilderness I returned to DE shaving in 2018. Started with Proraso gear and will bow out the same way. I would like to thank everyone on this forum with all the tips, forum posts and people who help maintain it. The the journey so far has been a blast and I look forward to 2019.